Buy your Dainese Full Metal 6 at Champion Helmets and get: ✓Best price ✓Free shipping ✓5% Cashback on your Order Value ✓Super Fast delivery ✓Order now! 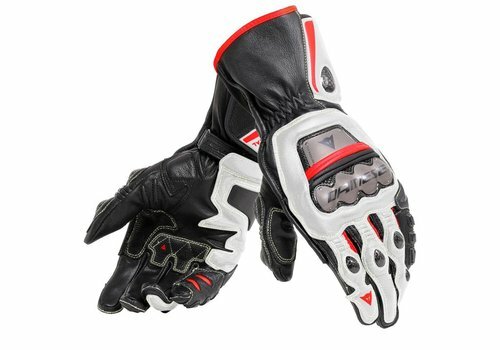 when manufacturing the Dainese Full Metal 6, There was made use of super strong and wear-resistant goat leather. Aramide was used for the stitching and seams. For the protection of the top of the hand, the knuckles, wrist, end of the ulna (Ulna) and finger joints is chosen for Carbon and titanium. The joints of the fingers and the tip of the ulna are protected with carbon and the knuckles and top of the hand are protected with carbon and titanium. The wrist and the palm are extra protected with leather. On the side of the little finger the glove is reinforced with thermoplastic resin. 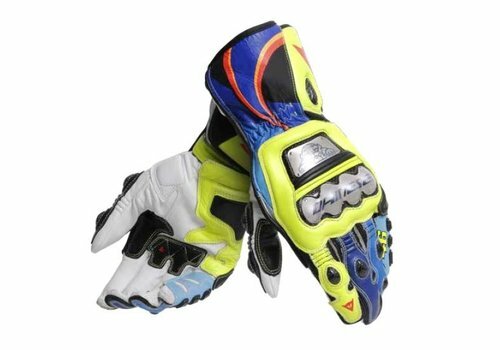 There is also protection against twisting of the little finger which also prevents bone fracture (DCP). 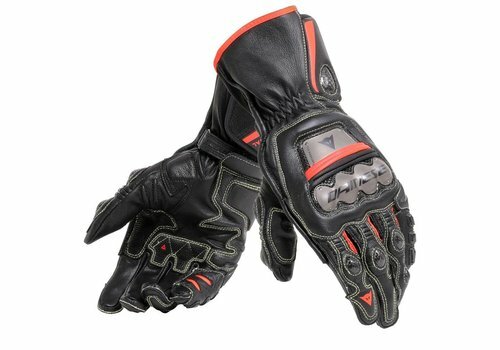 The Dainese Full Metal 6 is CE certified according to the Pr EN 13594 standard. 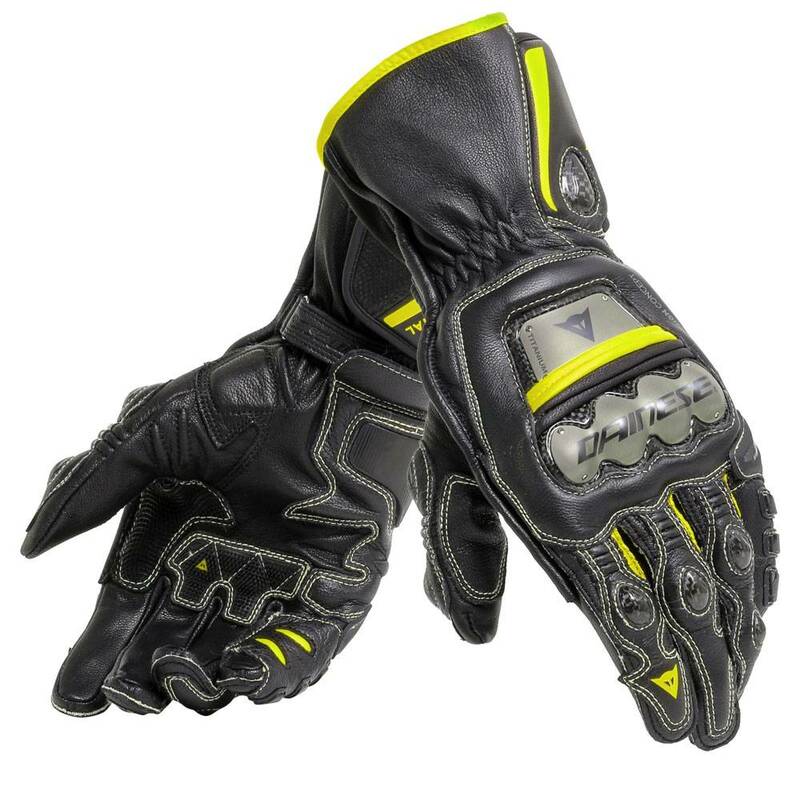 The integrated stretch parts on the top of the glove and the pre-formed fingers and wrists provide extra comfort. The Velcro strap contributes to a comfortable fit, partly because it is adjustable. 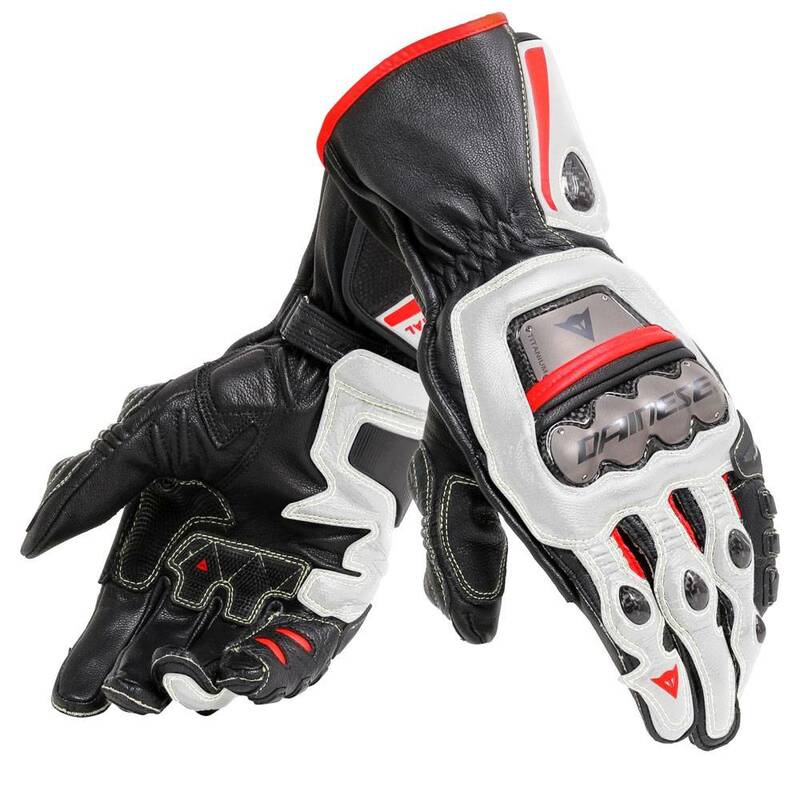 The super soft goat leather with which the palm is reinforced provides extra comfort and good grip. 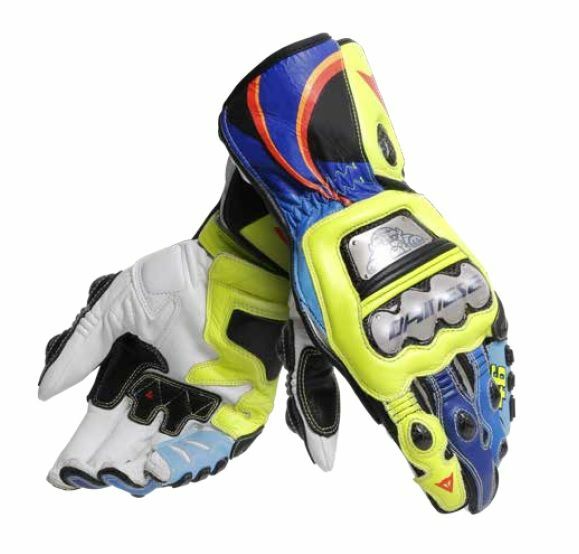 The quadruple elasticity on the top of the glove provides great freedom of movement between the knuckles and the top of the hand. 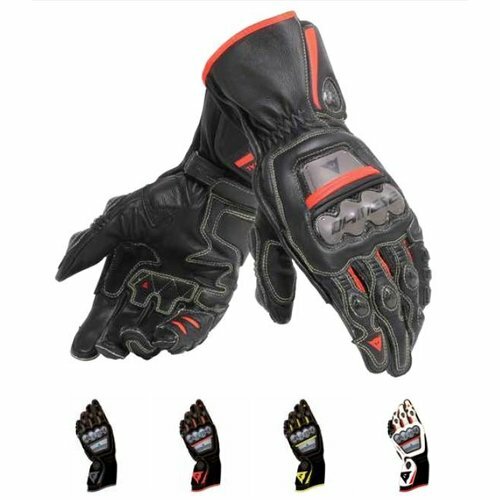 Micro-injection reinforcement has been applied to the palm of the hand to provide extra grip and to prevent wear and tear on the areas most in contact with the handlebars. The Velcro strap is partly covered for safety and the weight of the Full metal 6 is about 370 grams.